I love it, I know it’s not done, but I love it. I wish we had more space to even put a small greenhouse up. I am officially jealous. Thanks, I can’t wait till it’s done. Even a window on 4×4’s over your garden bed makes a huge difference when you are germinating seeds and getting little plants going. The best part is you can just tuck it all away when the plants are bigger. Holy huge! I cant wait to see the finished result. 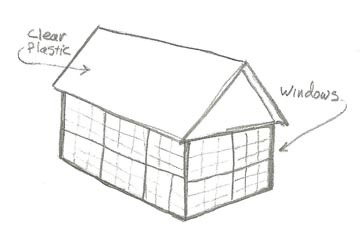 I’ve been researching greenhouse plans myself lately. Great post! So super cool to see this project take another leap forward!! What’s the pool for–hydroponics? Seems like the excavation and foundation of most structures are the hardest/longest parts with the least visible gratification. I suspect you’ll whizz thru the rest of construction… whenever you have space in your busy cool-projects-filled life to tackle it again. Very cool construction! 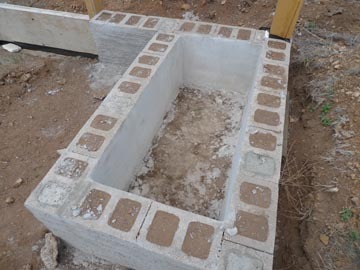 Like the idea of using scavenged materials,and also a nice touch adding the pond for thermal mass heat. Maximizing the solar exposure on the south side is a great way to capture passive heat. 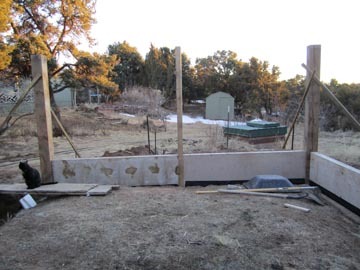 I’d also like to build a greenhouse this summer, but I’m told that other projects *will* take precedence. Not sure about being smarter, I usually just muddle through these types of projects (not unlike your own process). 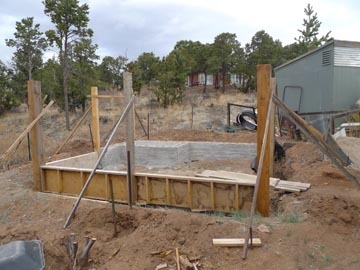 Agreed on craigslist – more than anything I’m going to need blocks and concrete for the footer, and windows. 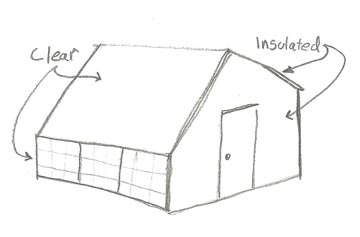 I’m pretty well set for roofing and wood material, as I’m thinking of breaking down and recycling the loafing shed and the internal walls of the barn. As for the “honey” part, I have to offset with forced labor on other interior decorating projects, like hanging chandeliers and rewiring pretty table lamps.